GIGABYTE continues leading the industry by collaborating with Intel®, the world-renowned tech giant. 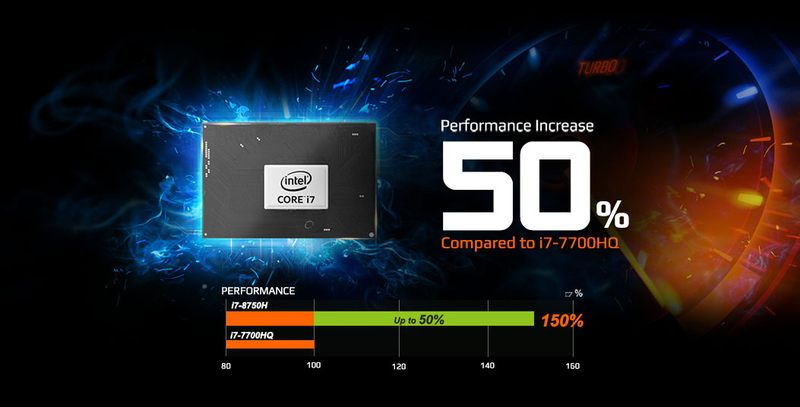 This time round, the AORUS brand uses a combination of high-performance parts from Intel, called the All Intel Inside technology. Expect a brand-new multitasking-expert 6-core Intel CPU, durable and ultra-fast 760p SSD and Intel's based killer Wi-Fi for smarter broadband connectivity. All these high-performance parts work together seamlessly, so you can concentrate on the more important tasks at hand. When the world is hyped about AI, you as an individual should ask and think what AI can really do for you. 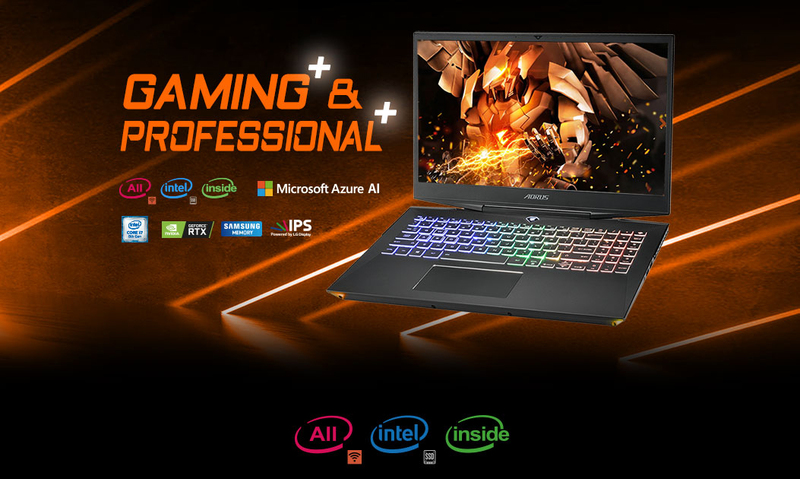 GIGABYTE went a step further by adapting the perspective and experiences of our users and have teamed up with Microsoft Azure to bring you the world's first AI laptop—the AORUS 15. User preference data passes through the Microsoft Azure Machine Learning platform in order to dynamically determine the best CPU and GPU wattage setting for optimal gaming performance and shortest possible media processing times. Users will experience absolute smoothness without hassle whether it's for gaming or content creation. NVIDIA® GeForce® RTX™ delivers the ultimate laptop gaming experience. Powered by the new NVIDIA Turing™ GPU architecture and the revolutionary RTX platform, RTX graphics cards bring together real-time ray tracing, artificial intelligence and programmable shading. This is a whole new way to experience games. Ray tracing is the holy grail of gaming graphics. It simulates the physical behavior of light to bring real-time, cinematic-quality rendering to even the most visually-intense games like never before. Deep Learning Super Sampling (DLSS) is a new RTX technology that uses the power of deep learning and AI to train the GPU to render crisp images, while running up to 2X faster than previous-generation GPUs using conventional anti-aliasing techniques. The AORUS 15 welcomes the integration of a super-fast high refresh rate LG IPS 144Hz display. This indisputably high-quality display offers phenomenal wide-viewing angles and smooth image reproduction that takes you to victory without skipping a frame. The next upgrade is here, introducing the all-new Intel® Core™ i7-8750H. Moving up from the previous Kaby-Lake architecture CPUs, the all-new Coffee Lake architecture improves performance with a whopping additional 50% in multitasking performance, with better energy efficiency and processing power that lets you steam, record and play at the same time without worries. The wait is over. The Intel Core i7-8750H meets the AORUS 15—greatest meets greatest. Claims based on comparisons between the Intel® Core™ i7-8750H and Intel Core i7-7700HQ on Cinebench R15 CPU. GIGABYTE has chosen to equip the AERO with high-grade, high-performance Samsung DDR4 memory that decreases battery consumption, provides high-speed transfer and overall memory quality. 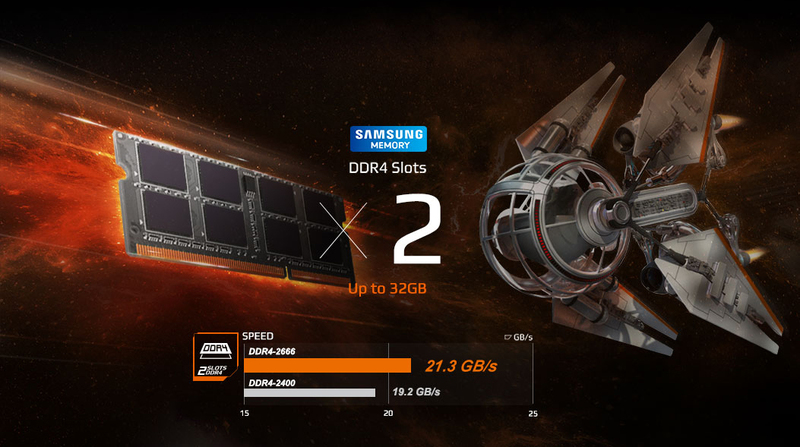 Furthermore, the AERO exceeds the limitation by supporting up to two DDR4 memory slots. Every gamer's dream is to have a large storage equipped with an ultra-fast SSD. 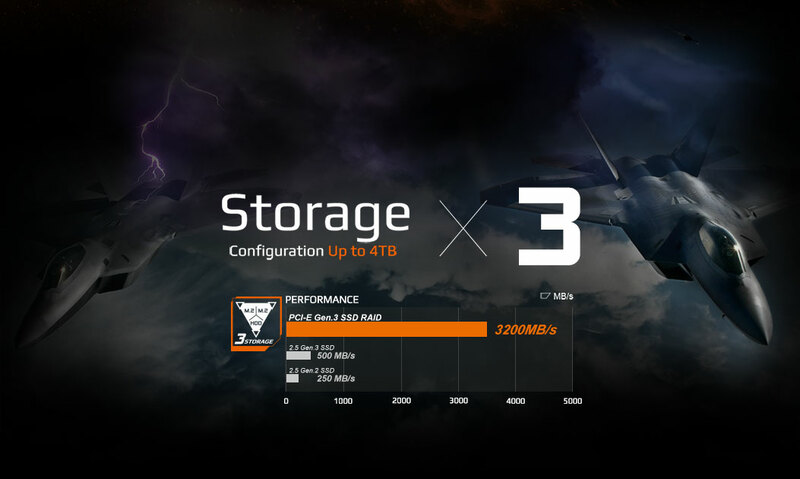 The AORUS 15 comes with two M.2 slots and one 2.5 HDD, with a total of up to 4TB of storage that satisfies the need to store large amounts of games and media. It does not just stop at the expansion, the AORUS 15 equips a high-quality Intel® 760p PCIe 3.0 x4 SSD with read speeds up to 3,000MB/s. Gamers no longer need to feel the drag of loading screens and get into the action right away. Product specifications and availability may vary by country and region. We recommend you check with your local dealers for the latest product information. 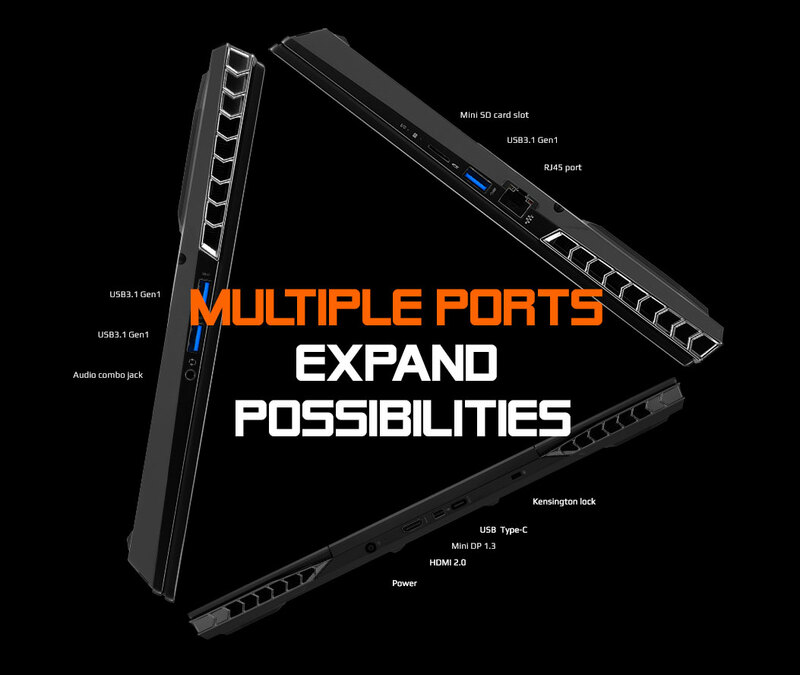 From the AORUS research center, comes a breakthrough of high performance in a thin and light chassis. With exclusive heat-dissipating technology working in a chassis that is no thicker than 2.5cm, with distinctive design cues that come from the wings of a modern fighter jet. 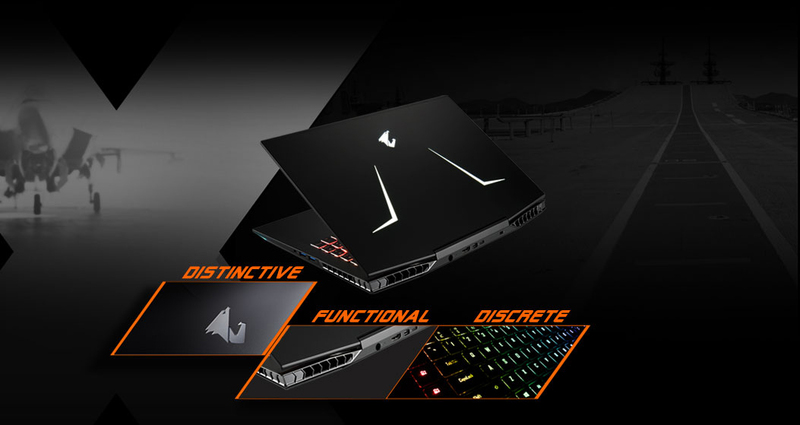 The AORUS 15 is a top-form system that will help provide you with nothing but easy victories. 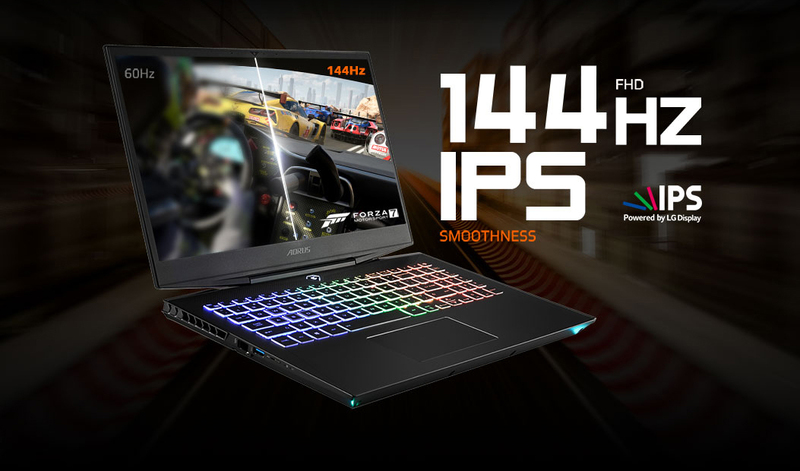 This marks the first AORUS gaming laptop with a thin-bezel display design, pushing the boundary of technology by having a 15.6" display in a portable 14"-like chassis. 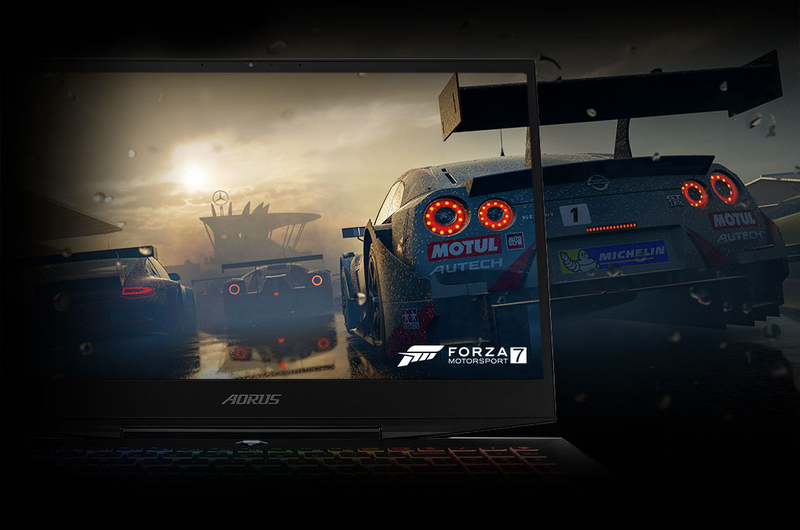 AORUS breaks the gaming laptop tradition by offering portability where others can't. 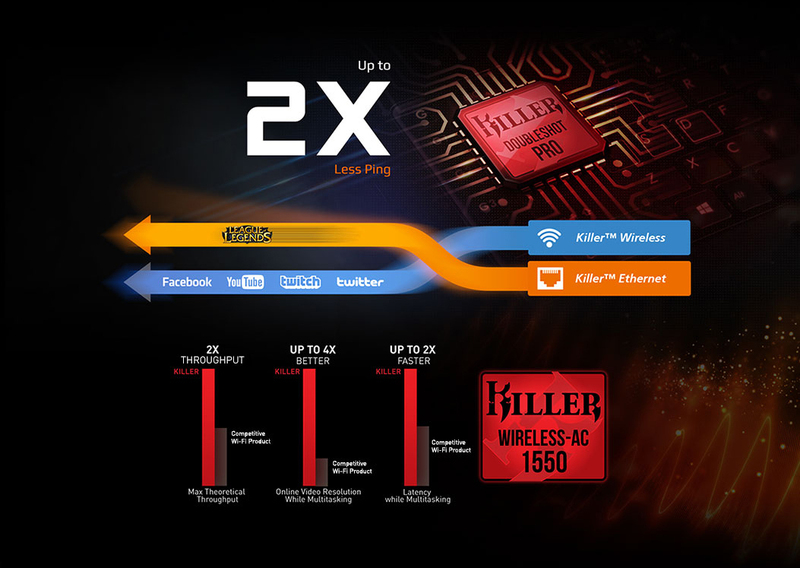 Killer™ DoubleShot™ Pro provides unprecedented speed, intelligence and control for systems with Killer™ Wireless adapter and a Killer™ Ethernet controller. DoubleShot™ Pro automatically picks the fastest network connection and sends all high-priority traffic over that interface. All standard traffic is then sent over the other interface. This ensures the highest-priority traffic will always be put on the fastest and most reliable link, giving you lag-free gaming experiences even while running multiple downloads the same time. NAHIMIC top-end software brings a tremendous improvement to 3D 7.1 surround-sound experience. 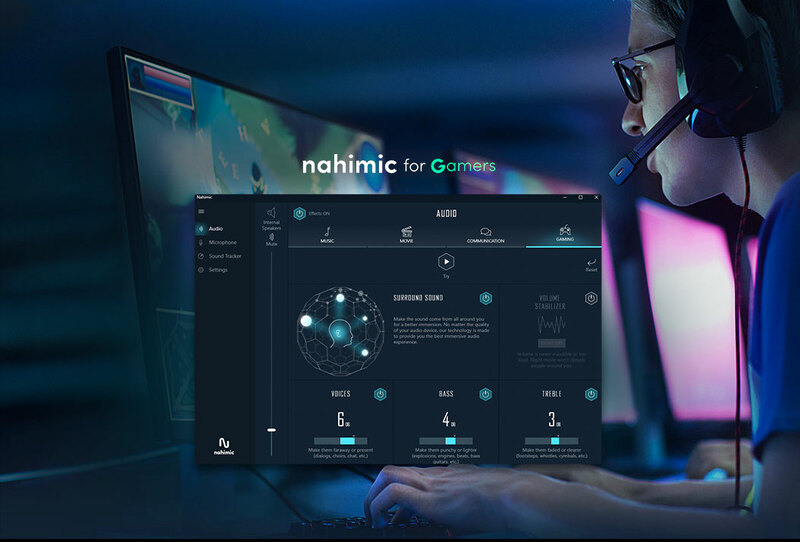 The advantage is clear with pin-point accuracy, NAHIMIC provides gamers the ability to hear the surrounding with true accuracy and definition without distortion. Feel the gaming environment through your headphones and take the W.
The AORUS 15 keyboard takes on a fresh look with stunning 16.77-million color per-zone RGB lighting to create what is uniquely yours.